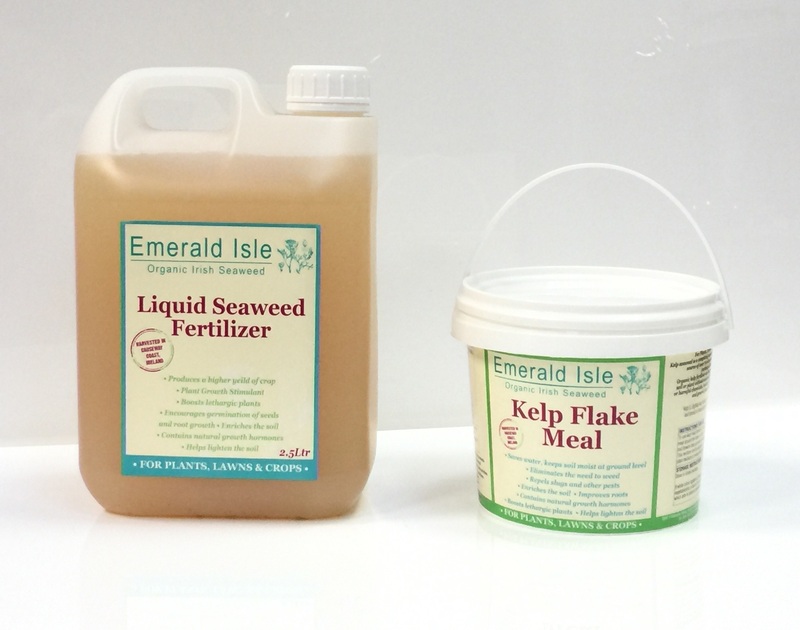 Kelp seaweed fertilizer is a completely natural, organic product and a source of over 70 vitamins and minerals (nothing added). 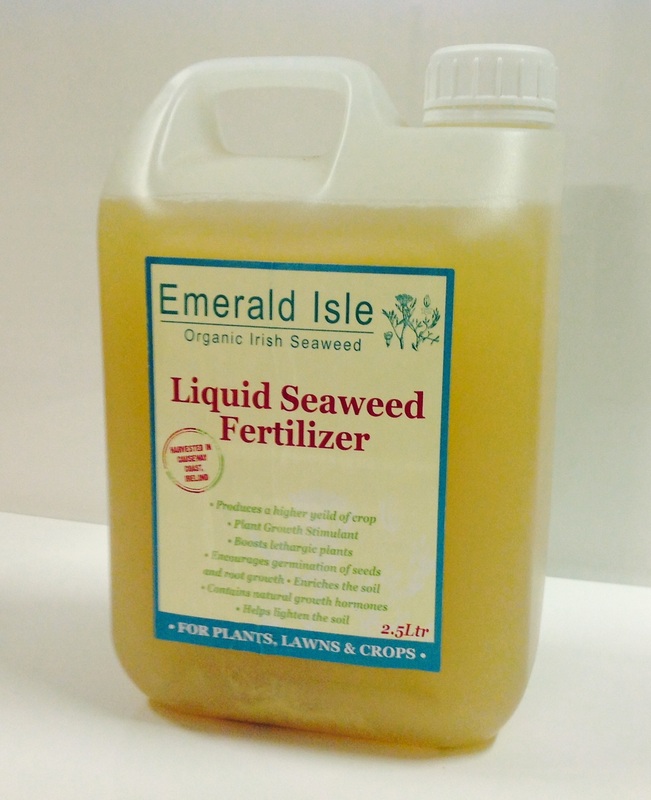 Emerald Isle Seaweed is certified with the Irish Organic Farmers and Growers Association. 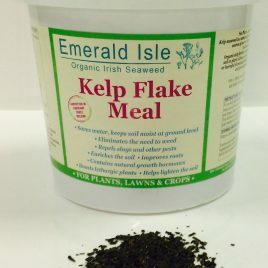 Kelp seaweed was traditionally used as a fertilizer and spread on these lands from the 18th century. 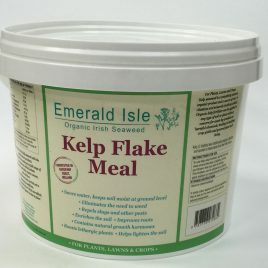 All seaweed has be harvested in the North Atlantic Coast of Ireland. 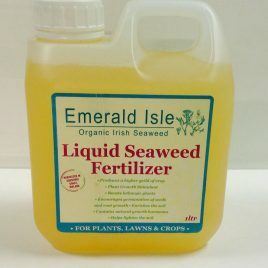 Saves water, keeps soil moist at ground level. Brings out and sustains the nature colour of the plant. 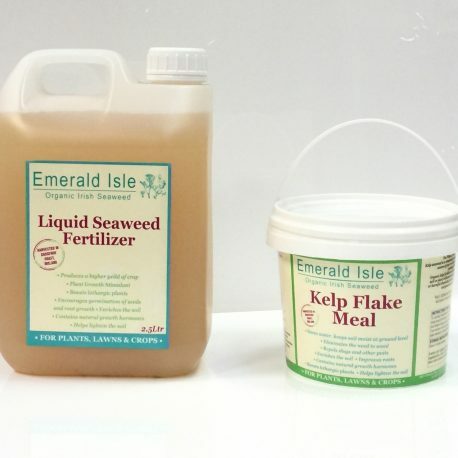 Kelp seaweed liquid content helps to bind soil crumbs together, and it contains all soil nutrients (0.3% N, 0.1% P, 1.0% K, plus a full range of trace elements) and amino acids. Nutritional Values for 100 g of product. Energy values. KCal/KJ per 100 g, 166/686. Protein 13.7 . Fat g/100 g, 0.2 . Saturated Fat g/100 g 0.2 . Mono-unsaturated Fat 0.1. Poly-unsaturated fat < 0.1 . Available carbohydrate, g/100 g 8.7 . Total Sugars g/100 g 3.6 . Dietary Fibre AOAC, g/100 g 36.8 . Sodium, mg/100 g 4899 . Moisture g/100 g 11.6. Ash g/100 g 28.9 . 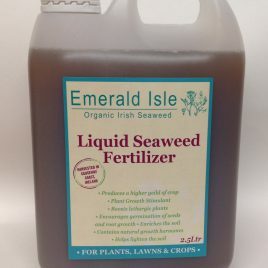 For more information on seaweed liquid please see research on the link below . Acknowledgement (Kavipriya Ramuand Thangaraju Nallamuthu Prof. D r. R. Rengasamy).